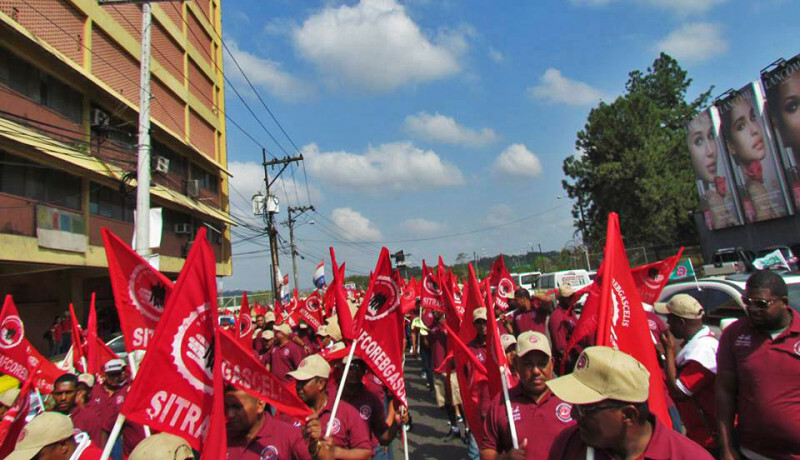 On July 28 unionized workers at the Cerveceria Nacional and its related FEMSA Coca-Cola company went back to work without a contract after an 18-day strike. The companies, subsidiaries of the South Africa based SABMiller, had met with union representatives some 30 times over more than a month and a half but had never responded to union proposals nor submitted any proposals of their own. By all appearances the global giant — the world’s second-largest beer brewing combine and holder of many countries’ Coca-Cola bottling concessions — seemed intent on destroying the Beer Industry Workers Union (STICP) and the Coca-Cola workers’ union with the long acronym (SITRAFCOREBGASCELIS). However, when the unions filed with he Ministry of Labor Development for arbitration the companies agreed and no reprisals against strikers is ordinarily one of the requirements for such government intervention. The outcome of a government arbitration process, however, won’t be binding on a party that thinks that it has lost.